CCTV Cameras still the best security systems? CCTV is Closed Circuit Televisions, which are the cameras generally seen near the ceiling, or the angles of the walls, for recording everything that happens in front of it, and keeping you safe. Every business involves money, and there should be no risk taken while running a big business, so the security has to be maximum. These CCTV systems are one of the best monitoring tools, that keep tracks of every activity, and they are nowadays seen in every office where there are cash-counters, and in super markets, banks etc. where just security guards isn’t the answer for total security of those risky places, where theft, burglar and any attack for loot of money is possible. 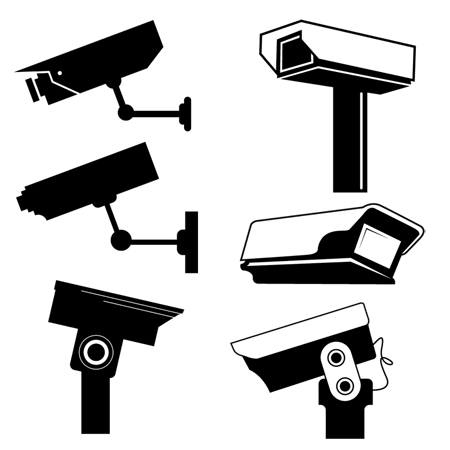 So, the question – Why are CCTV cameras still one of the best? These cameras can be setup anywhere, like on the poles in middle of road, to monitor the traffic, or in the railway stations and airports to keep an eye on the people, or in banks where its necessary as theft is common there. They were previously available as only the low-quality cameras which shows the live video in a television, but now there are cameras that can record everything, setup with computers and various types of cameras are Dome, Standard box, day/night, hidden and wireless control cameras, all depending on the area and time of usage. Constant surveillance all the day, all the week and all the time. Reduction in theft, if the person trying to, if aware of presence of cameras. Recorded videos, to check for people passed-by during unaware times. It monitors the areas where you can’t always reach. Helps in checking for any suspicious stuff done by strangers. Over all, the CCTV cameras are the best ones to use for security purpose, apart from extra productivity from staff who can be monitored in offices where individual monitoring directly is a pain. Note: A review, not paid for though! I don’t think CCTV is the best security system , people have become more smart , they know what are the loopholes in the CCTV driven security system. To be truly effective, a surveillance system must be integrated with a well-designed perimeter protection system and be monitored by experts in verification technology. Before investing in any security cameras, it’s important to investigate the holy trinity of cameras – lens, light and resolution. I agree with the above comment that CCTV cameras are not so safe, but still they are one of the security measures, as not everyone knows whether the CCTV cameras are placed, and it’s not compulsory that a CCTV camera has to be placed in such a way that it gets exposed to people. Constant surveillance is one of the most important things, which is not possible by people directly, so there comes the use of CCTV cameras. To be truly effective, a surveillance system must be integrated with a well-designed perimeter protection system and the Constant surveillance is not really possible now there is use of the CCTV cameras.